One good thing about living in Paris, is being able to window shop at all the luxury stores. I love walking by places like Chanel and Dior and seeing what is in their window displays. Prada is also another shop that I like to window shop in, and last time I was there I was dazzled by sparkles. This collection of beaded bags and shoes is delightful. 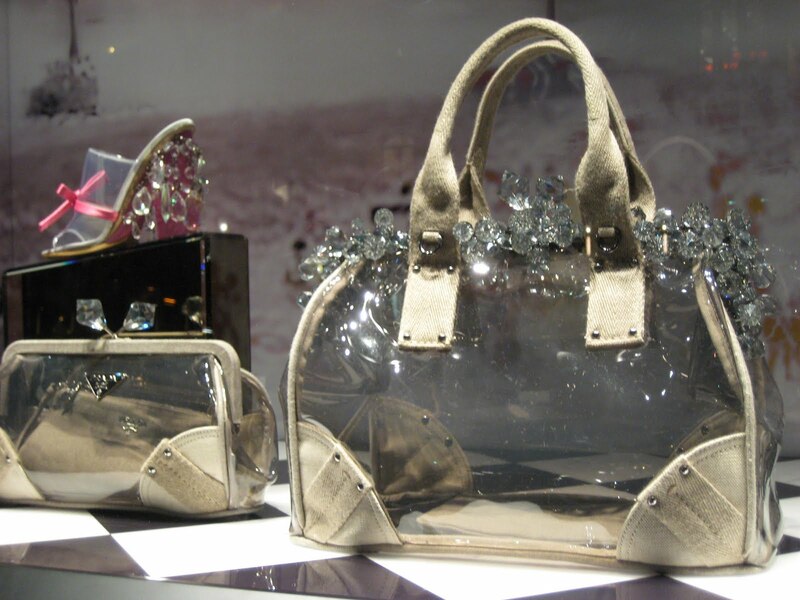 The drop faceted crystals hanging from the shoes, and perched atop the bags add some whimsy to these great Prada pieces. I loved the bag, and could just imagine using it when I visit Florida!